After some disappointing and unnecessary remarks, a popular culture icon, Hülya Avşar was interviewed in Milliyet and this ended up with an investigation. Bakırköy Public Prosecutor Ali Çakır’s investigation against Hülya Avşar and Devrim Sevimay has nothing to do with “justice”. This abuse of public power under the pretense of the “Kurdish Initiative” is nothing else but mobbing against the two women. We are protesting. The International Press Institute is urging the Turkish government to halt the investigation into journalist Devrim Sevimay and actress Hülya Avşar over an interview in the Milliyet newspaper. 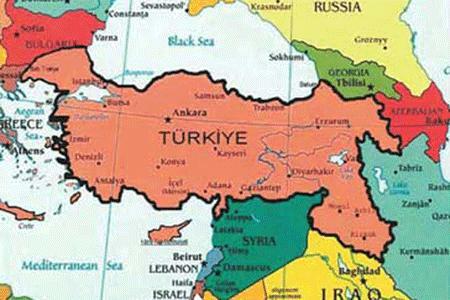 Well, if the boundaries of Turkey of extended, no problem. But the opposite causes uproar, which happens frequently…. There may seem at first glance to be little in common between the recent court cases against journalists Şamil Tayyar and Mehmet Baransu and the dispute over whether Democratic Society Party (DTP) members of Parliament have parliamentary immunity and whether they can be questioned by the police. The Kurds in Turkey: EU accession and human rights. By Kerim Yildiz. London: Pluto Press. 2005. Previous Chatting about Kurdish initiative? Next Google Wave- the new goody?